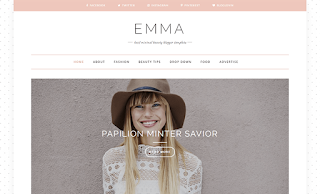 Emma Blogger Template is a Modern Personal Blogger Template, that allows you to tell your story in creative and stylish way. Emma include all popular features that will help you in your storytelling. Also have customizing Options – changing fonts, colors, layouts and more.The blog design is fully responsive on tablets and phones so no more ugly Blogger mobile styles.